Shocked! Confused! 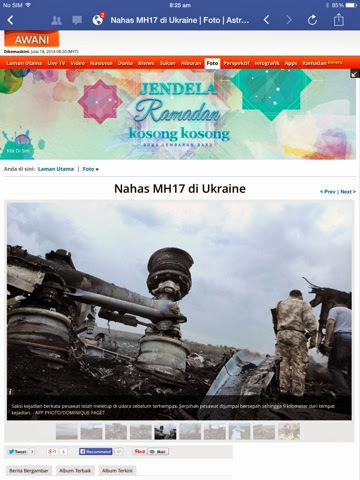 Unbelieveable..MH 17 had been shot down by missile? 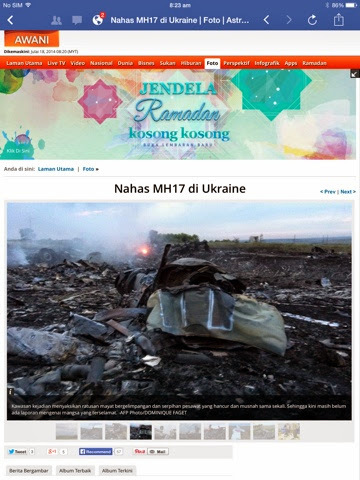 Ya Allah, this Malaysian Airlines MH 17 has crashed & all 297 passengers on board have died. 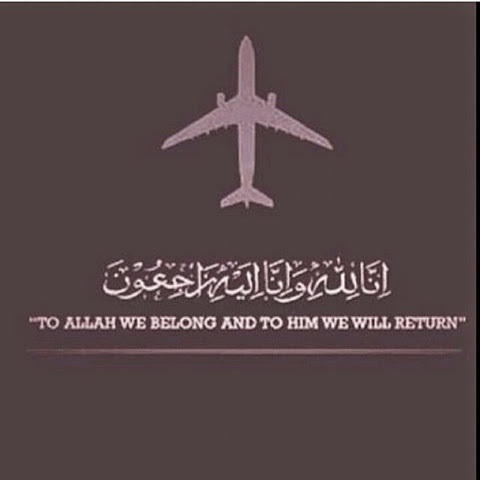 Condolences to all families of the passengers of MH 17. We also feel the losses. 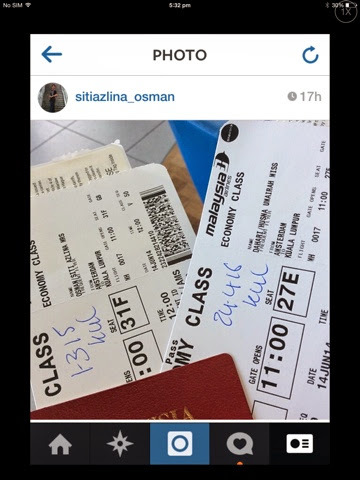 Out of 297 passengers, 38 is Malaysian. 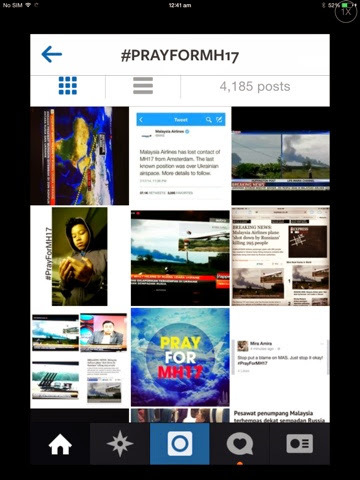 Right away after the announcement from a few medias, the Instagrammers already posted picture about the incident & the hashtag 'prayformh17' started being use & the numbers increased every second. 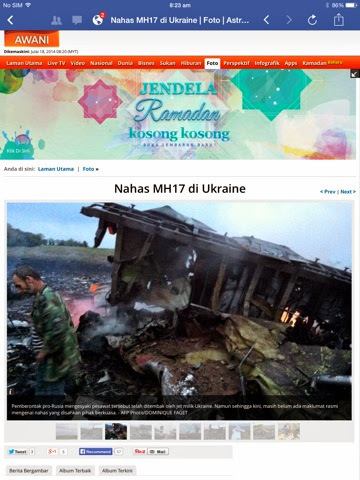 From the news, no one was reported survived. Someone need to be responsible for this incident. 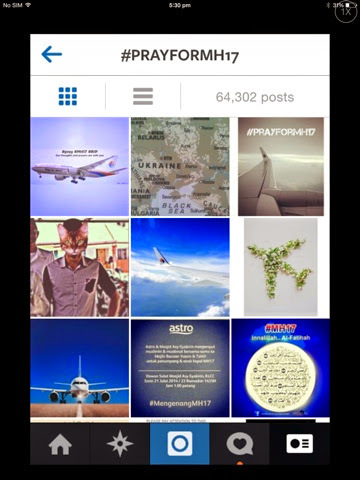 The hashtag group for 'prayformh17' already reached 64K as of this evening. 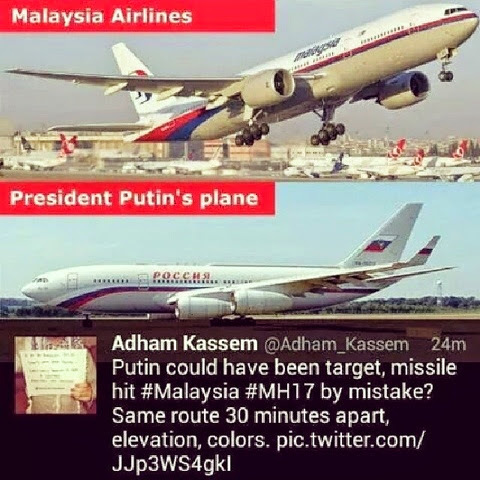 Here, few pictures of the airplane. I also took the same flight from the same airport last month. 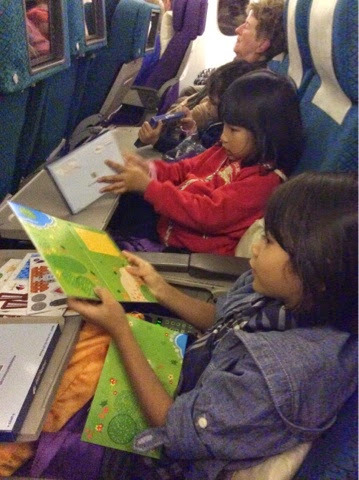 The cabin crews were really nice & helpful in arranging the seat for my daughter in the plane so that she can seat beside me. 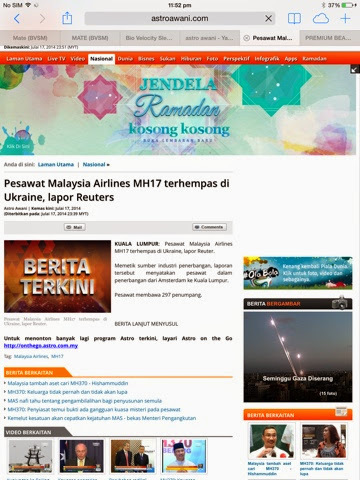 This is so sad, teribbly sad moment for Malaysian again after MH 370.